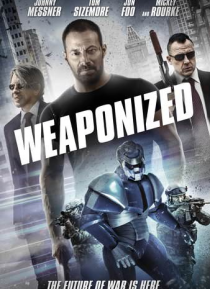 After a blatant terrorist attack on the Pentagon, private military contractor Kyle Norris (Tom Sizemore) facilitates the development of a bio-mechanical weapons program by Professor Clarence Peterson (Mickey Rourke). The program allows soldiers to swap consciousness with a target, giving them temporary yet complete control. While the program was intended to combat terrorists, it has been abused an… d it is up to Detective Walker (Johnny Messner) to shut it down.